Happy Spring Break! We are now open for the 2018 season. With plenty of sunny days and mild temperatures, Spring has arrived in Victoria and it’s a great time to be on the water. Daily tours at 9am and 1pm. Reservations necessary. 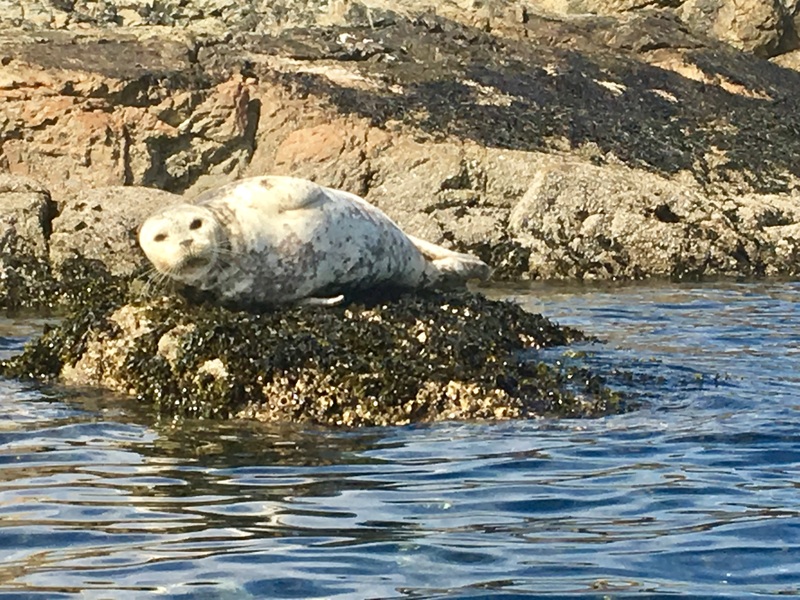 With our kayaking season winding down, some of our guides took the opportunity for an overnight trip through the gulf islands. They encountered an early fall storm and had to change their plans after launching from Island View Beach last Sunday. Today they paddled from Portland to Rum Island and tomorrow they will spend the night on Darcy Island. Video to follow, stay tuned. September a great time to kayak in Victoria but it is bitter sweet as we say goodbye to our amazing kayak guides and office staff until next season. A huge thank you for a stellar season! Come see the new harbour seal pups with Kelp Reef Adventures! https://kelpreef.com/wp-content/uploads/2014/07/logo22.png 0 0 Kelp Reef https://kelpreef.com/wp-content/uploads/2014/07/logo22.png Kelp Reef2017-07-23 20:43:022018-03-23 20:45:56Pupping Season has arrived! Join us for a two hour evening kayak tour daily at 7pm. We are happy to introduce some new faces at Kelp Reef Adventures!